When the mercury begins to rise, everyone starts looking for the air conditioning remote to bring the home back to it’s perfect balance. But there are so many more reasons to invest in air conditioning than creature comforts, and in Western Australia the stakes are high. Air conditioning can be the last line of defence between you and any harmful indoor pollutants, that are considered in the top five list of risks to public health. Here’re some of air conditioning’s benefits to your wellbeing. Anything from stale air to harmful fumes can seep into your home, and create an unsavoury and unhealthy atmosphere. We’re designed to recognise harmful or toxic smells as bad or unpleasant, so if you smell something a bit off then there may be an irritant in the air that your air conditioning can remove. Keep your home smelling fresh and clean, to maintain optimum health for your family. Let an air conditioning unit cleanse the air in your home of pollutants, allergens, and irritants, at the press of a button. With respiratory illnesses on the rise, it can be hugely beneficial to your health, the comfort of those who are allergic or sensitive to certain particles, and especially the health of young children. Extremely hot or cold temperatures can place unwanted stress on the body, and result in a weakened immune system, dehydration, heat illness, or an impaired ability to burn calories. Your air conditioning finds the perfect balance for your home, and can ensure that your home is not a petri dish for bacteria to grow in. If you care and maintain your air conditioning, it should continue to serve and protect your family for a long period of time. 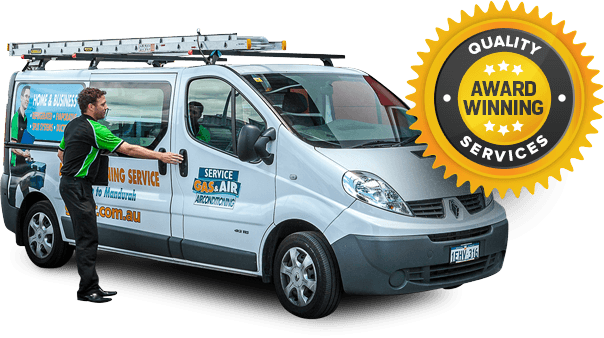 GasAir is proud to provide Western Australia with quality, durable air conditioning solutions, from manufacturers such as Fujitsu air conditioning. Our Perth range of service options keep your air conditioning unit running as economically and efficiently as possible, so come and talk to the team and find out how we can make your home safer and more comfortable.